Do you have an obsession with sunglasses like I do? I could easily dig down in my purse and find at least three pair and I would probably find another two or three pair in my car. I can't help it. I love them. Normally when I find a good pair of sunglasses the only thing I consider is how they look on my face. Are they too big? Too round? If they pass the "cute" test I will probably purchase them without another thought entering my mind. Unfortunately, however, just because I've made the first step and purchased a pair of sunglasses doesn't necessarily mean that I'm protecting my eyes from harmful UV rays. First, in order to ensure that my eyes are fully protected, I need to make sure my sunglasses meet all the criteria. Are they anti-reflective? Are they polarized? These are just a few questions that you should ask yourself before purchasing those new shades. Next, just because I've made the first step and purchased a new pair of sunglasses doesn't always mean that I'm taking the necessary precautions and actually wearing those sunglasses when I should be. 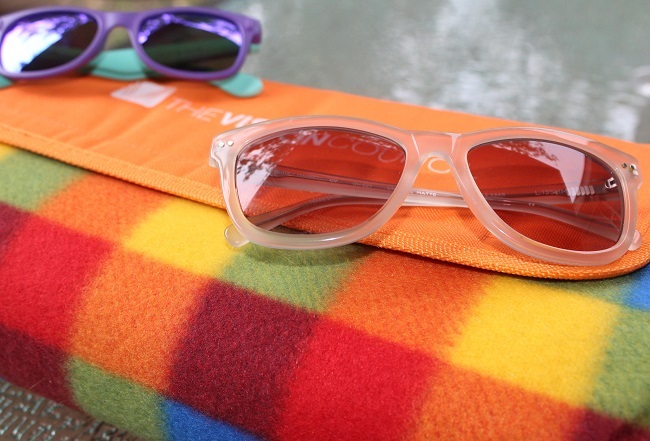 Sunglasses shouldn't just be worn during the summer when the sun is beaming down from above. 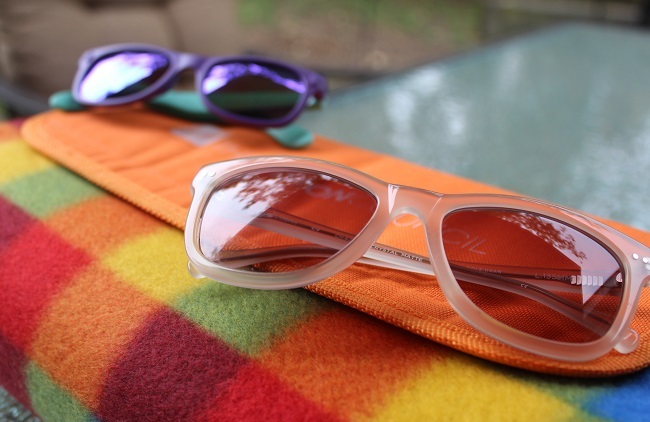 No, in order to receive the proper UV protection, you should wear your polarized sunglasses anytime you are outdoors. This includes when you are outside working in the yard, sitting on the bleachers watching or favorite team play, or even when your getting in your morning run. So what's the big deal? Well, not properly protecting your eyes can set you up for major problems down the road. Unprotected UV exposure can not only cause sunburned eyes, but it can also cause cataracts and age-related macular degeneration. Do yourself a huge favor and protect your eyes with properly polarized sunglasses anytime you are outdoors. 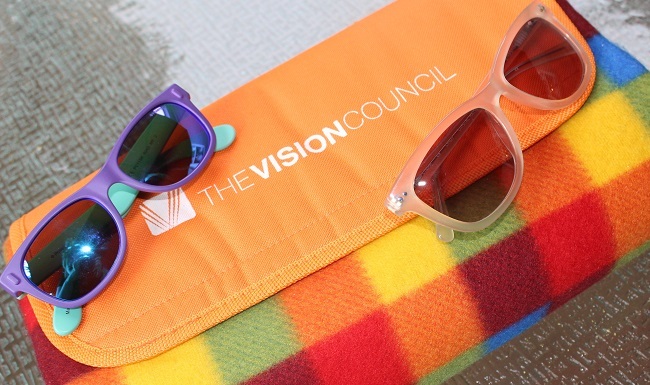 You can find more information by checking out The Vision Council's 2015 UV Protection Report. 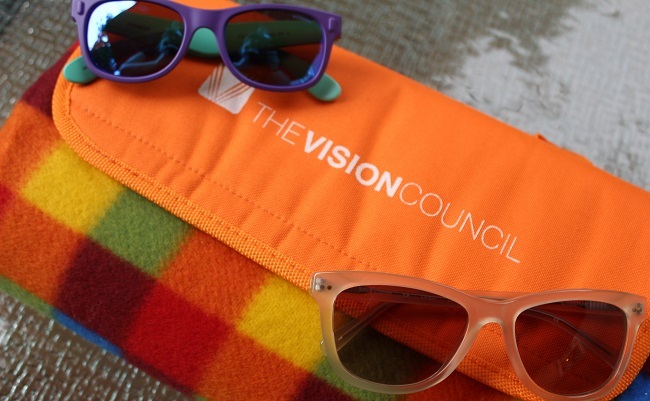 Thank you to The Vision Council for sponsoring this post. I received a free pair of polarized sunglasses for me and Charlie Beth in exchange for this post. All thoughts and opinions are 100% my own. So true! I got my first pair of polarized this year and I can tell a world of difference! Those are really cute! Can I order from their site directly? I out on a pair of polarized glasses the other day and oh my goodness gracious!! They were awesome. I'm just broke and have to buy the cheap ones from TJ Maxx. haha.